Pafnuty Lvovich Chebyshev (Пафнутий Львович Чебышёв) (1821-1894) was a prominent Russian mathematician, professor on algebra, number theory, and probability at St. Petersburg University and member of many Academies. His contributions to the science include distribution of Prime number theory, prove of fundamental limit theorems in probability theory, theory of polynomial approximations to functions, theory of interpolation, the theory of moments and the approximate calculus of definite integrals and others. Besides the mathematics, Chebyshev spent much of his time working on questions of mechanical engineering and in early 1870s he designed and manufactured very interesting calculating machines. In 1876 Chebyshev made a report to the French Association of Assistance to Prosperity of Sciences about his first calculating machine. The report was called "An Adding Machine of Continuous Motion". In the same 1876 the device was probably exhibited at the scientific meeting in Clermont-Ferrand. It was a ten decimal places adding machine with a continuous tens carry, the first known machine with this type of carry mechanism. In a regular calculating with discrete carry, the wheel of higher rank moves on by one point, while the lower rank wheel moves from 9 to 0. During the continuous tens carry, the wheel of higher rank moves from one point to the next gradually and continuously, while the the lower rank wheel turns by one revolution. Hence, it is necessary to have a construction such that the wheel of the tens moves 10 times slower than that of the units, the wheel of the hundreds moves 10 times slower than that of the tens, etc. This can be achieved with gears in a 1 to 10 ratio between the units and the tens, between the tens and the hundreds, and so on. This solution then totally dispenses with the usually complex mechanisms required for an intermittent motion. It also makes it possible to do calculations much faster. Chebyshev reached this effect of gradual movement by implementing a planetary transmission (the same principle will be used 10 years later on by Eduard Selling). Two years later Chebyshev created a second improved model of his adding device, which was presented in 1878 to Conservatoire des Arts et Métiers in Paris. Later, he made a dividing-multipying extension unit for the machine, which was also sent to the Paris museum in 1881. So the machine became a real arithmometre (it can be used for the all arithmetical operations), which has two separate blocks—one for addition and subtraction, and one for multiplication and division. The main purpose of the machine was to demonstrate the new principle of continuous tens carry. The dividing-multipying unit also had some innovations, e.g. the automatic shifting of the carriage from decimal place to decimal place. The unit itself served as the carriage part, that is the moving part of the mechanism. It was mounted on the adding machine, thus imposing one single device. To perform multiplication, the operator only needed to turn the handle. The number of turns was equal to the sum of numbers of the multiplication factor, added to the number of its decimal places minus one. After multiplying by a number (digit) of one decimal place, the mechanism automatically stopped multiplication and shifted the carriage to the next decimal place. This was repeated with the next decimal place digit, etc. The number of the handle turns was automatically controlled by means of a special counter, connected to the mechanism for setting the factor. Since the donation of the machine to the museum was not followed by any publications in western media, this invention didn't become famous (but the arithmometre was described in some Russian sources, for example this one from 1894). 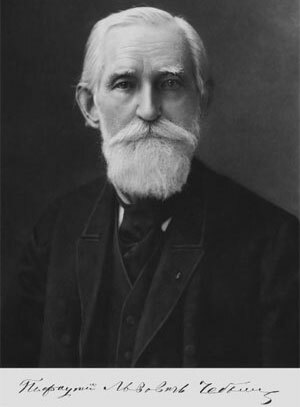 As late as 1890 the French mathematician François Édouard Anatole Lucas (one of the creators of the famous Genaille-Lucas rulers) displayed a variety of Chebyshev's mechanisms, including the arithmometre, on a special stand at the Paris Museum and gave several lectures about Chebyshev. Later on the French historian Maurice d'Ocagne (1862-1938) contacted Chebyshev for description of the machine and published an article. In fact, both machines of Chebyshev were made only for demonstration purposes. He never seriously thought of creating a device for practical or commercial use. 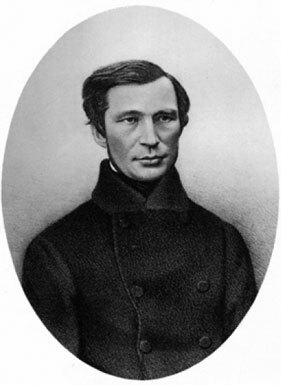 His personal innovations are continuous tens carry and automatic shifting of the carriage from decimal place to decimal place during multiplication (Chebyshev proved that this principles can help building extremely efficient machines). Both inventions became popular and were widely implemented in 1930s, when electromotive drives came into use in the quickly growing generation of automatic and semi-automatic keyboard calculating machines. The adding machine of Chebyshev is an unusual calculating machine. Using gradual motion, it dispenses with carry levers and such, and allows for faster calculations. It is also a modular machine, in which an independent addition component becomes a sliding carriage of a larger multiplication machine. Chebyshev also automated the multiplication by one digit and the shift of the carriage, so that the user merely has to rotate the crank and not worry about shifting when multiplying by numbers greater than 9.